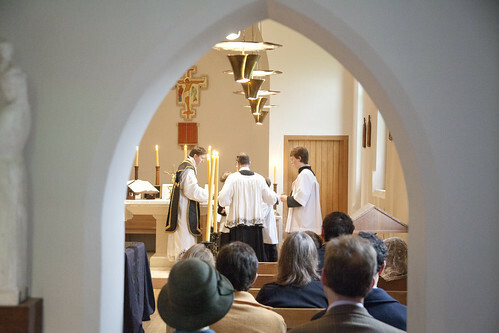 The celebrant was Fr Edward van der Burgh of the London Oratory, a former JCR President. 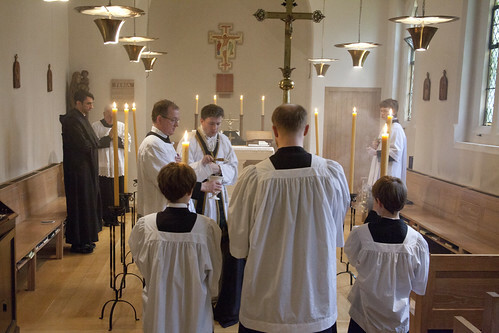 We had a simple catafalque for the 'absolutions', a beautiful ceremony after Mass in which the celebrant blesses the absent bodies, represented by the catafalque, with holy water and incense. 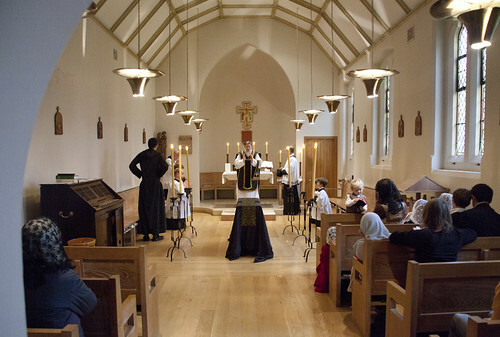 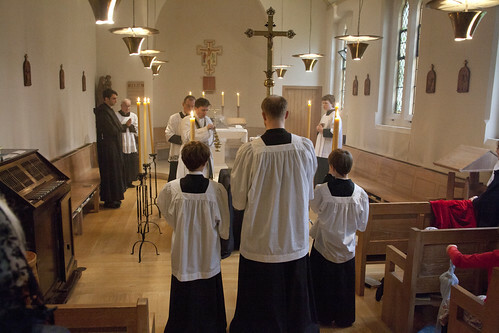 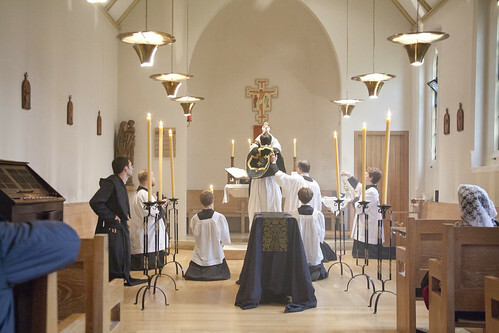 Mass was sung, and accompanied by the Schola Abelis, a chant schola composed of students and senior members of Oxford University, and 'townies' too.